I really am an absolute beginner - I've never programmed before and I've never done anything with robots - is this course really suitable for me? How much time will it take each week? What happens if I don't have time to finish a given week of the course as scheduled? Can I start this course late? Is this course really free? I'm not a teacher, can I still take this course for free? Why do I need to have a Google account to take the course? How do I get a Google account? Do I need to have a LEGO Mindstorms NXT robot to take this course? I don't have a LEGO Mindstorms NXT robot and software. Where can I get one? Are there any resources for getting grants to fund the purchase of robots? I have a LEGO Mindstorms EV3 robot - can I use that for this course? I have a LEGO Mindstorms RCX robot - can I use that for this course? Why did you pick the LEGO Mindstorms NXT robot and not a different robot? I'm a teacher. Is there a way for me to get professional development credit for this course? I'm a teacher, can I get a certificate of completion for this course? I'm not a teacher, can I get a certificate of completion for this course? I'm a project reviewer, where can I find the rubrics for project evaluation? I'm a school principal and have been asked to certify a certificate of completion. What does this mean? This course is designed for people who have absolutely no experience with programming or robotics, though you do need to have some computer experience. If you are comfortable using your computer to do things like create documents, surf the web, send emails, etc. and you have a basic understanding of how to find files and folders on your PC using "my computer" or on your Mac using "finder" you should be fine. Simply visit http://cs4hsrobots.appspot.com/ and you can get started right away. This is a five week course. Each week we will add roughly 10 short lessons to our course web site. Most lessons take the form of a 5-10 minute video plus some self-test questions for you to track your own progress. In addition, we give you five suggested "robot projects" to work on during the final 3 weeks of the course. The course officially started November 15th, 2013, but you can get started yourself right now! We estimate that week one (which has no robot activities) will take you an hour or two. We estimate that it will take most beginners 4-6 hours each week to watch the videos and do the activities for weeks two through five. We encourage you to stick with our schedule - that way the discussions in the web forums will be more useful to you. However, if you're too busy to do so, you are welcome to take the course at your own pace. We have no plans to close the course after registration - while we can not promise you that the course material will be up indefinitely, we anticipate that you will be able to sign up and begin the course later if you wish. Yes. While this course is designed with teachers in mind, it is free and open to anyone who is interested. Our course was built using the Google Course-Builder tool. In order to register for the course, you need to have a Google account. There's no requirement that you have a robot. Week one of the course is a general introduction to the field of educational robotics in general and the LEGO NXT robot in particular and doesn't require a robot at all. After week one you will need a robot, together with the NXT-G software to complete all the exercises. Before buying a new NXT robot, you should be aware that LEGO has just come out with new robot hardware called the EV3. This course uses the NXT hardware and not EV3 for reasons detailed below. As of November 2013, the commercial version of the software is available as a free download. This is very close to the educational software that we use in the course - there only a couple of lessons ("robot educator" and "data logging") that you won't be able to do. This software works with both the educational and commercial kits. The educational kit comes from LEGO education. You need to buy the base set plus the software - note that you may wish to buy the site license for the software rather than just a single license. The commercial kit (8547) is from regular LEGO and also at many online and shopfront retailers. Now that the EV3 is out, there are likely to be some used NXTs available for sale. Do you know of any resources for getting grants to fund the purchase of robots? Finding funding for robots can be a challenge. The one resource I know of specifically for this question is the LEGO Education Grants web site. If you have an EV3 robot and the EV3 software, you will find many similarities between programming the EV3 and programming the NXT. You're welcome to take our course, but if you're an absolute beginner, you may find the differences significant enough that it will be more confusing than helpful. We are big fans of (and involved in) FIRST LEGO League which is a great way to get 9-14 year olds in robot programming. FIRST LEGO League requires that teams use of one of the LEGO Mindstorms robots. We decided to go with the NXT (and not the EV3 that was just introduced) primarily because more people currently have access to the NXT. If this course is popular, we'll consider doing a new version of it for the EV3 later. While we do offer a certificate of completion, we are not currently able to offer professional development credits at this time. The certificate of completion requires that a colleague review your completed robot projects and is signed by your school principal. You may wish to speak with your school district to see if they'd be willing to grant you professional development credits for this class. Yes! To be eligible to receive a certificate of completion, you need to complete all 5 robot projects successfully and have them reviewed by a colleague that your principal designates. The certificate of completion has a line on it for your principal's signature, to certify that you successfully completed all the projects. We ask everyone, but particularly those who apply for a certificate of completion, to give us some feedback about the course so that we can make it better for you and future students. Yes, though it may not be as meaningful if you're not a teacher. 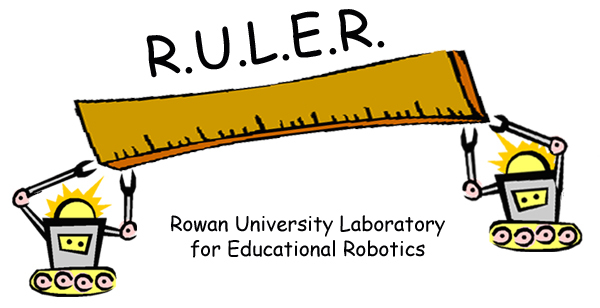 Because we do not have a way to check your robot projects ourselves, we only offer the "teacher style" certificate which has a space for a principal's signature.